Ottawa Humane Society: 22nd annual IAMS Wiggle Waggle Walkathon raises $240,000! 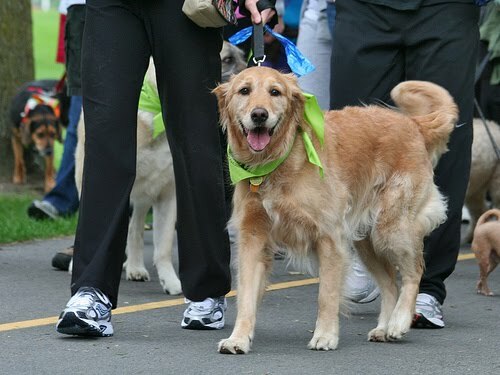 22nd annual IAMS Wiggle Waggle Walkathon raises $240,000! OHS President Rob Cameron and his son. The Ottawa Humane Society (OHS) is celebrating the success of another record-breaking walkathon, held today at a brand new location on Riverside Drive, across from the RA Centre. Over 1,200 registered walkers and 2,000 participants took part in the 22nd annual IAMS Wiggle Waggle Walkathon, and raised over $240,000 for the animals, surpassing the goal and bringing in $30,000 more than last year! "We're thrilled to have had our largest and most successful walkathon ever," said Bruce Roney, OHS Executive Director. "In addition to being a fun day, it's also our most important fundraiser of the year and we count on its success to help us care for Ottawa's animals." Hundreds of dogs and their owners showed their support for the animals at the Ottawa Humane Society on Sunday, raising over $240,000 at the 22nd annual IAMS Wiggle Waggle Walkathon. All funds raised today will go toward supporting the many ongoing programs and activities at the OHS, including humane education, animal visits, dog walking, adoptions, and foster care. Some of the funds will also go towards animal rescue services. Although legally mandated to enforce the animal cruelty provisions of the Criminal Code of Canada and the Ontario SPCA Act, the OHS does not receive any government funding or any funding from any animal welfare group to perform this essential work.